A message from us: https://Digitalism.lnk.to/UN1T The story of Digitalism is about the things that change, and the things that don’t. It was around 2004 that Jens Moelle and Ismail “Isi” Tuefekçi met at a Hamburg record store. Isi was a shopper at Underground Solution, a haven for specialist electronica, and Jens worked there in the afternoons. Before an in-store party, a DJ was taken ill. The owner asked Isi to pair up with Jens to play. He didn’t know it, but the friends had already begun producing their own material. Originally, it was just about fun. They made songs to fill holes in their sets - if they couldn’t find the right track, they’d make it. The duo’s ambitions were humble. So when their edit of The White Stripes’‘Seven Nation Army’ was released as a limited run, it was a big moment. It sold out instantly. That’s when they moved into the “bunker” studio in Hamburg they still work in today. The waves they were creating were soon being felt outside Hamburg’s dance scene. Specifically, catching the attention of Parisian label Kitsuné, run by Gildas Loaëc and Masaya Kuroki. Isi remembers, a colleague received a text from Gildas. “All the people in Paris right now, they’re on the tables going crazy,” it said. “I want this record!” He was talking about Digitalism. Soon they joined the Kitsuné family - a label responsible for so much of that era’s defining electronic music, blurring lines between garage-rock and electro. This was a new sound thrilling festival crowds and mutating the traditional indie-disco dance-floor playlists. Digitalism summed up this eclecticism, this energy. But they weren’t alone. Klaxons, Simian Mobile Disco, Justice and LCD Soundsystem - these artists were live bands, DJs, they released compilations, albums, mixes. The rules of the traditional linear band didn’t apply. “There was something sizzling there,” says Jens. 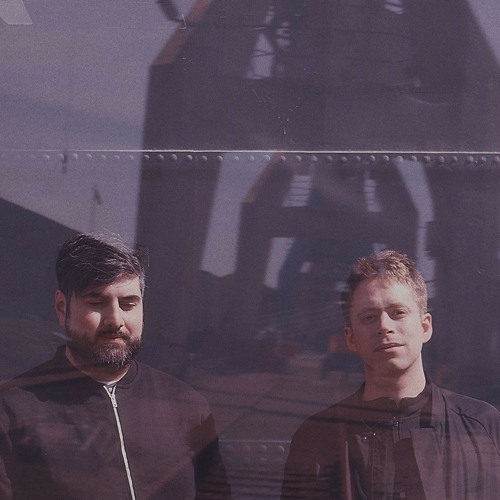 “It was a very united moment.”At the centre of this all was ‘Pogo’, Digitalism’s anthemic breakout single, and just after that, ‘Idealism’ their debut album in 2007 (“It sounded very ambitious and pretty raw,” says Jens). It gave birth to huge tracks ‘Zdarlight’, ‘I Want I Want’ and ‘Digitalism In Cairo’. What followed wasn’t just a massive world tour, but a succession of surreal moments. “All of a sudden, you’re playing with Daft Punk or Soulwax!”Album two ‘I Love You Dude’, released in 2011, was a deliberate bid to do something new. “It involved more songwriting, vocal recording and production. A bit more sober,” remembers Jens. A period of recuperation followed, before unleashing third album ‘Mirage’ in 2016, a deliberate move to recapture the seismic scale of their debut. “We wanted to go back into space. Go big again,” smiles Jens. “It was almost like a prog-rock album.” Now, it’s time to reinvent again. Back in Hamburg, they’ve gathered material for a new EP. Their first entirely instrumental release, it expands with the sounds of Mariachi horns and marching rhythms. It is, Jens says, “only the tip of the iceberg”. So, some things change: the band have lived through the changing ways people listen to music, the inevitable evolution of scenes - and, sadly, the record store isn’t there anymore. But other things don’t: namely, Isi and Jens’ enduring friendship (their “music marriage”), the special feel of the “bunker” they call home and their motivation not to follow trends but make music theywant to hear.